These are the days that the Twilight fans love. 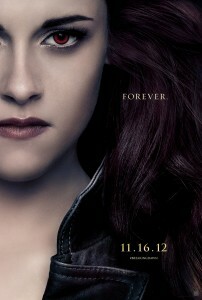 The second teaser trailer for The Twilight Saga: Breaking Dawn – Part 2 was released this morning. I was skeptical that it was actually going to be a teaser trailer, but clocking in at only about a minute long, it does qualify. While the first teaser trailerfocused on Bella (Kristen Stewart) becoming a vampire, this trailer focuses on the plot of the film. If you are curious as to who is who with all of the new vampires, check my original posts (here and here) from when all the new vampires and their actors were announced. There should be at least one full theatrical trailer before The Twilight Saga: Breaking Dawn – Part 2 releases on November 16, 2012. Costar revealed Robert Pattinson,Kristen Stewart romance was quite obvious on set & more. Recently,Ology had a little chit chat with one of Robert Pattinson and Kristen Stewart’s Twilight co-stars Daniel Cudmore,and he revealed some more,interesting details about how K-Stew and Rob acted on set,and it looks like their steamy relationship was pretty apparent. After that,he went on to explain, they were also,obviously, trying to hide it from everybody else. In related news,it’s also been reported that Rob and Kristen got pretty romantic on their February 6th sushi date. At one point,they were spotted kissing each other with their hands in each other’s back pockets,so they do get pretty steamy. Stay tuned.